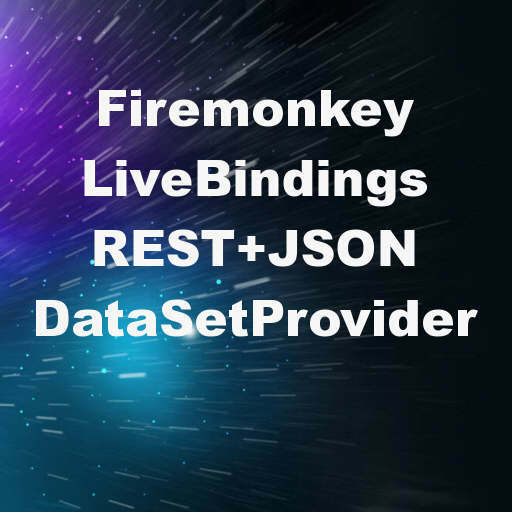 Developer Andrea Magni from Italy has released a free REST based TFDDataSetProvider for Delphi XE7 Firemonkey with LiveBindings support. What this component allows you to do is connect to a DataSnap server (or any REST+JSON enabled web service) and prototype the data at design time. This components works across all Firemonkey platforms which are Android, IOS, OSX, and Windows. The data from TFDDataSetProvider is loaded at design time by right clicking and selecting “Retrieve Data From Server”. The data gets loaded into a TFDMemTable in the client at design time and then via LiveBindings it is displayed for rapid prototyping in the controls that you bind to the TFDMemTable. With this component you can prototype apps that use REST services just like if it was using a local database. The component should also work with Appmethod. The blog post about the component is in Italian so you can use Google Translate if needed. A demo video is provided and the source code is available on Github. Head over and check out the full blog post about the free TFDDataSetProvider component for Delphi XE7 Firemonkey.